At the end of the 19th century, the village of Orgosolo in Sardinia, was renowned across Europe as the ‘village of bandits’ because of its high rate of criminality. The locals, mainly shepherds and farmers, often felt oppressed by the national government and they passionately struggled to achieve their own idea of social justice and peace. It was about ten years ago that Orgosolo finally settled down to a more tranquil environment, and in fact only a few of the elders of this village have a clean police conduct. Nowadays, Orgosolo is popular with tourists for the colourful murals which adorn many of the facades of its buildings. Indeed, these paintings act as silent but eloquent witnesses of the historical, social and cultural transition of this place, even creating the impression of being in a living musuem. Meanwhile, for those visitors who would like to get closer to the locals, there is also the opportunity to join a group of Orgosolo shepherds with whom one can enjoy an exceptional lunch cooked in the traditional Sardinian way whilst relaxing in the spectacular scenery of this area. The village of Orgosolo is nestled amid the massive Supramonte mountain range in an area known as Barbagia. It is situated in the province of Nuoro, in the central part of Sardinia, in a zone which is quite isolated from other inhabited areas. In 1961, the Italian film director Vittorio De Seta presented the highly acclaimed film ‘Bandits of Orgosolo’ which aimed to portray a realistic representation of the arduous life of the locals of this village. The story shows how these people were further encumbered by their inherent mistrust of the State which was forcefully trying to expropriate their land; a situation which eventually encouraged the Sardinian banditry in the late 1800s. On the other hand, some other social critics insist that the high increase in criminality in Orgosolo was due to the Barbaricino code of honour which demanded revenge for any offence caused by others. Revenge meant that the guilty had to suffer the consequences for his act in a slightly higher proportion than the level of his offense. This situation finally culminated in a series of kidnapping incidents and in bloody fights which at times escalated to a number of deaths both on the police and on the locals’ side. However ultimately there came a time when most of the locals were tired of these bloodsheds and this subsequently brought this turbulent past to an end. At first hand, a walk around the village of Orgosolo will reveal an old and unimpressive set of buildings. And yet if one is aware of the history of this area, one cannot remain untouched by the multitude of murals and by the messages which they divulge. Curiously, the first mural painting in Orgosolo was created by a number of young anarchists from Tuscany. 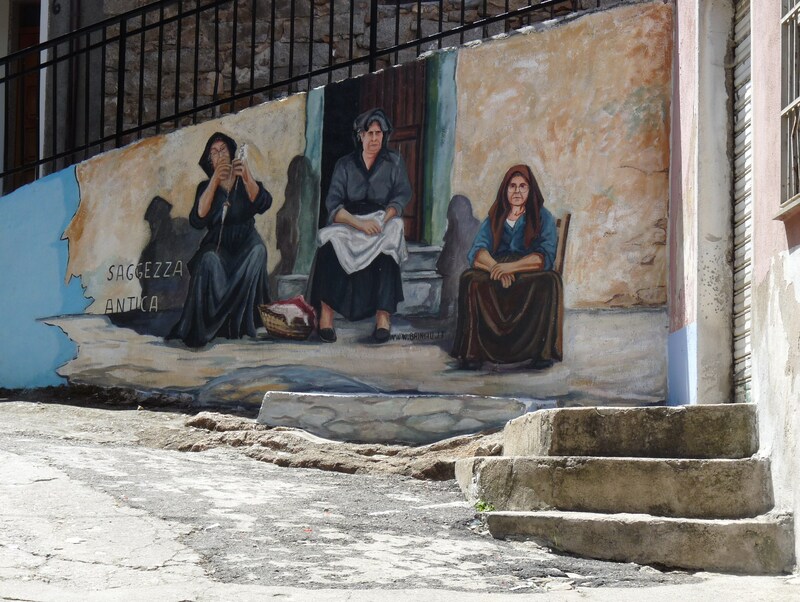 The rest of the murals were the idea of an Orgosolo art teacher, Francesco Del Casino, who decided to ask his students to transfer various posters that were commemorating the 30th anniversary of the anti-fascist resistance movement, onto the walls of the village houses. 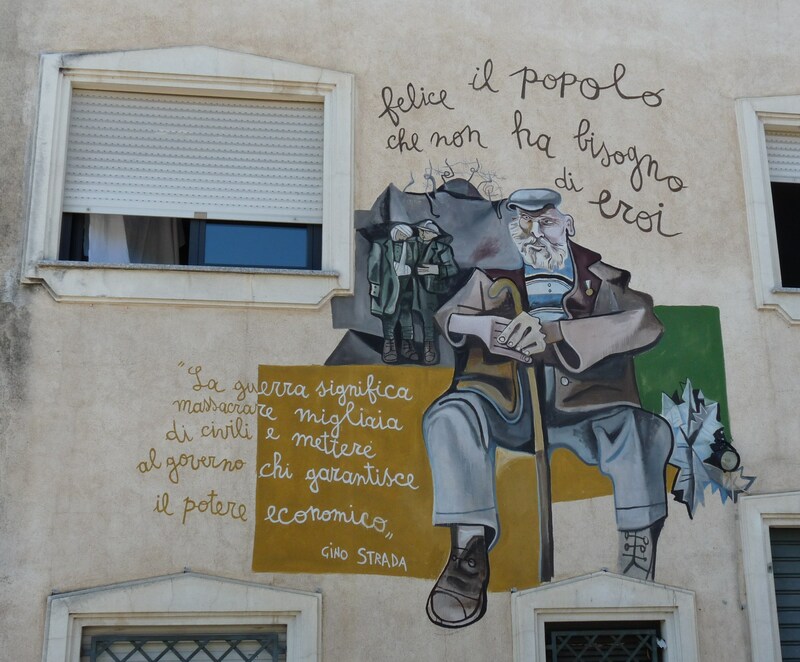 Certainly the main theme of most of these murals is protest and the short messages written on them, such as: “Felice il popolo che non ha bisogno di eroi” – Happy are those people who do not need heroes – demand attention and provoke much introspection. The present state of the old part of the village clearly reflect a situation of a humble standard of living. However, Orgosolo is the only village in central Sardinia which did not undergo a severe depopulation due to the crisis in the agrarian sector. Surely visitors will enjoy a more positive ambience of this area if they opt to attend to a lunch with some Orgosolo shepherds, such as those giving this service at Supramonte. Here one will find the shepherds preparing the food in the traditional Sardinian way; that is cooking meat of pork and sheep on long rods by means of fire. In the meantime, visitors will have the opportunity to get to know the other tourists which come from all parts of the world in order to enjoy this unique meal served by the shepherds themselves. The meal starts with generous portions of Sardinian bread, cheese, water and wine and then it continues with meat and traditional sweets which the shepherds produce for these occasions. The food is delicious especially when enjoyed on the benches located under the crisp fragrance of the forest trees. Indeed, when one thinks that the lunch has come to an end, a final surprise still awaits the visitors as the four shepherds suddenly leave everything behind and form a close circle, from where they start emitting loud and strange vocal sounds. 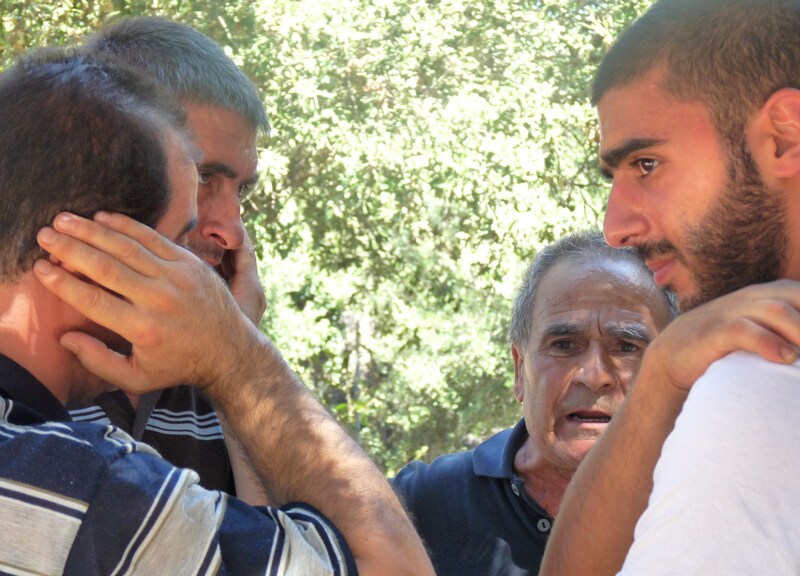 In reality these intonations form part of a traditional style of shepherd folk singing known as ‘cantu a tenore’ which is characteristic to the Barbagian region of Sardinia. A sort of surrealistic atmosphere is created as the surrounding wide mountains reflect the echoes of the shepherds’ ancient chanting and create the illusion of going back in time. 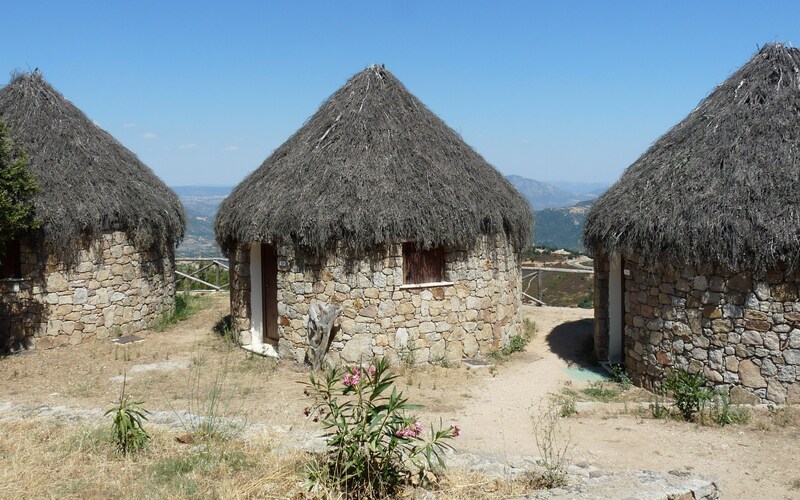 Well, for those visitors who would like to enjoy a longer stay with these locals, there is the option of renting the singular round small habitations which are a modern representation of the rustic houses that have sheltered these shepherds for so many long years against all odds.